Summers are so hot..Isn't it? 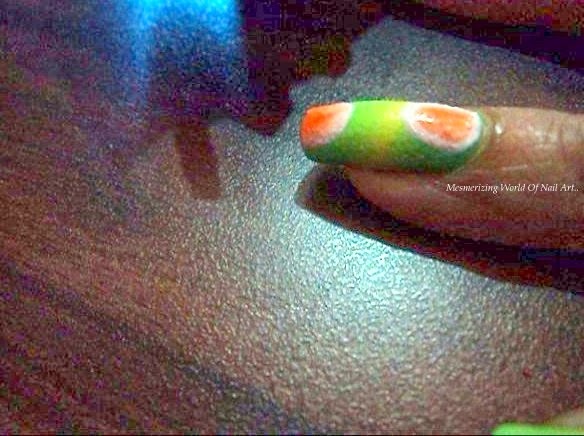 So,I am showing my another Hand painted Summer Nail art which is inspired by summer fruits. This is also our 3rd theme for the stnchallenge. So,For this theme I decided to paint some Oranges. 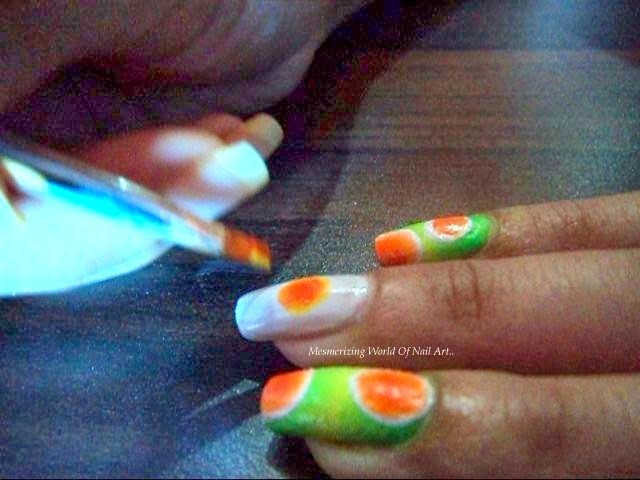 I also wanted neon background, so i did gradient effect on my Index,Ring and Pinky finger with neon green and yellow nail polish.On my middle and thumb finger nail,i painted bunch of orange slices!! 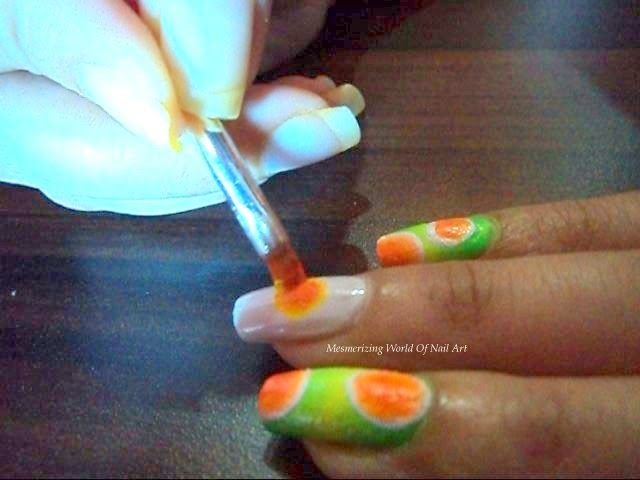 Follow these steps in order to create this nail art. 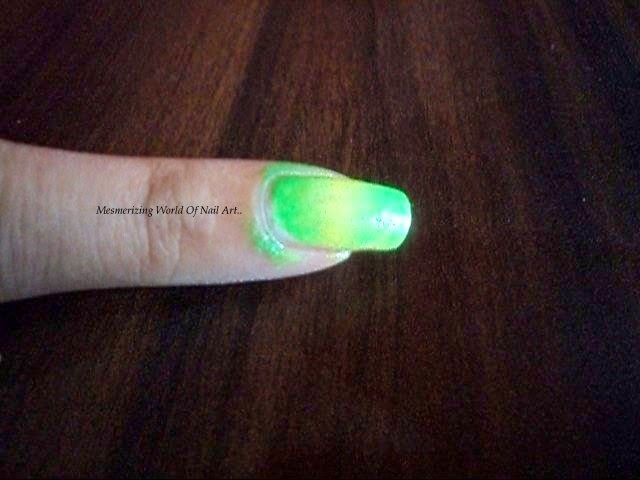 Step 1 - Start with applying Base coat.Next,Paint your nails with white polish and let it dry completely. 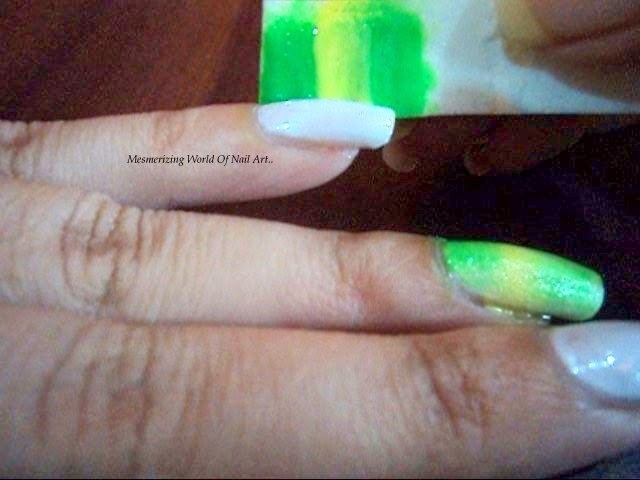 Step 2- Take a makeup sponge.Paint your sponge with neon green and yellow polishes.The colours should overlap slightly. 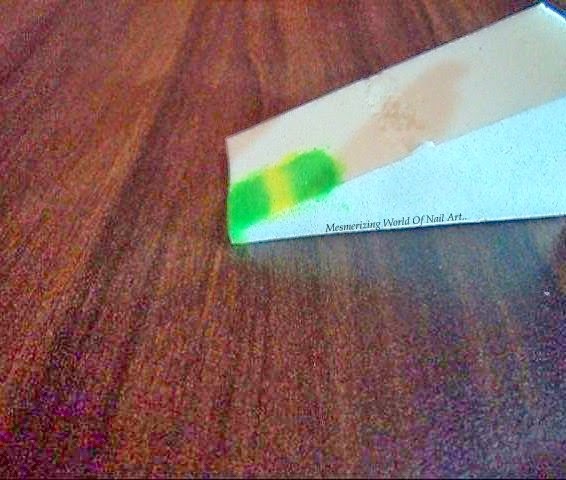 Step 3- Dab the sponge onto your nail.Repeat step 2&3 until you get the desired colour pay-off. 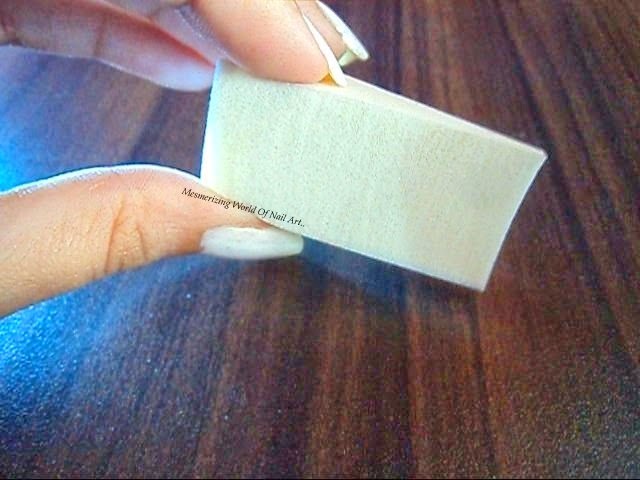 Step 4 - Take a brush dipped in polish remover and clean around your cuticles. the brush back and forth in one spot.Then draw 1 or 2 circles and semi-circles randomly on your index,ring and pinky finger! Step 7 - Now to make it look like real oranges,outline those circles you made with white paint and make a dot in the center of each circle and draw thin lines from the outer rim connecting to the dot! 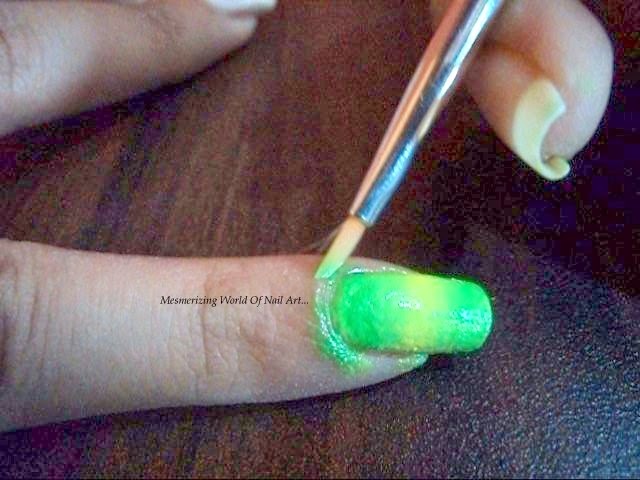 Step 8 - Apply glitter polish !!!!!! I hope you like this tempting design! !